Time is one of the strongest negotiating tools a country could have against an oil company. 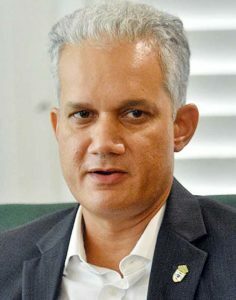 But, according to former Petroleum Advisor to the coalition administration, Dr. Jan Mangal, Guyana forfeited that leverage by being in a rush to first oil before General and Regional Elections originally scheduled for 2020. The Oil and Gas Consultant made this pellucid as he sought to provide some perspective on the role the Ministry played in Guyana now being unprepared for the oil sector. “Firstly, Guyana lost negotiating leverage against Exxon, because Guyana was in a rush to get first oil before the originally scheduled elections in 2020. Secondly, by Guyana rushing, Guyana also forfeited the opportunity to develop its institutional capacity for oil and gas. By rushing, Guyana was setting itself up to fail in its preparations for oil and gas,” Dr. Mangal asserted. In this regard, the consultant highlighted the fact that for three years, the MNR did not hire a single oil and gas professional with appropriate experience in deepwater developments and production. “This is quite amazing, as the MNR and other ministries should have hired dozens of highly experienced oil and gas professionals. But none was hired. This is a blatant sign that some Government officials were favouring the interests of the oil companies, knowingly or unknowingly, over the interests of Guyanese, since the oil companies benefit when the country knows nothing about oil and gas,” Mangal emphasised. Dr. Mangal said that this in particular, was an eye-opener for him, because previously, he held these international bodies in high esteem. “But now I am convinced most of these international bodies are just along for the ride,” the former Government Advisor said. Due to the lack of progress by the MNR in improving institutional capacity, preparing Guyana for oil, and due to sloth in some other ministries, Dr. Mangal said it was clear that Guyana needed a new entity responsible for all of energy (oil, gas, renewables, etc). It was on this premise, he pointed out, that President David Granger took the bold and critical decision to setup the new Department of Energy.